With a mug, you can enjoy your favorite coffee at home, with a Hey Joe coffee mug, you can enjoy your favorite coffee anywhere. Cool? Let’s keep going for the travel mug with integrated coffee maker. The Hey Joe is an innovative and practical travel mug designed to allow you to brew coffee anywhere you want. As we can see from the images, the mug shows off a sleek and minimal profile with its solid black and matte coating, and its potable design allows you to take it always with you and fits in your cup holder. 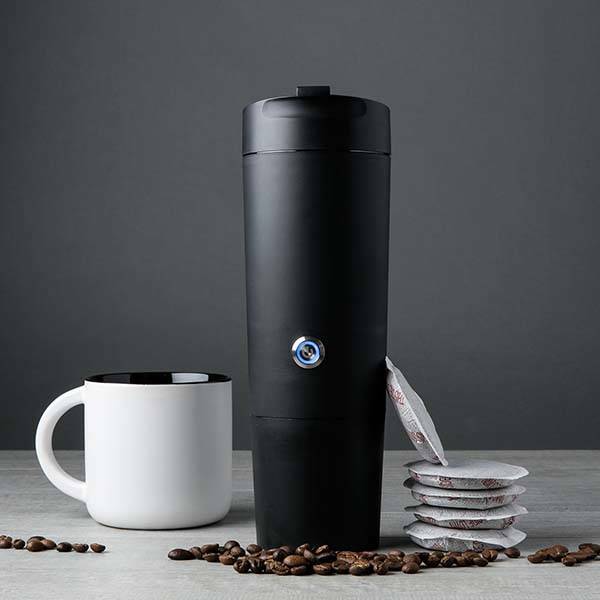 The travel mug features a built-in brewer that consists of a heat module and coffee holder. All you need to do for a cup of coffee is just pour water in the mug, attach the heat module onto the bottom of the mug, and place the holder with one coffee pod or your own ground coffee in, then seal the brewer with its secure lid, and push its power button. After about 4-minute brewing, a freshly brewed cup of coffee will be ready for you. 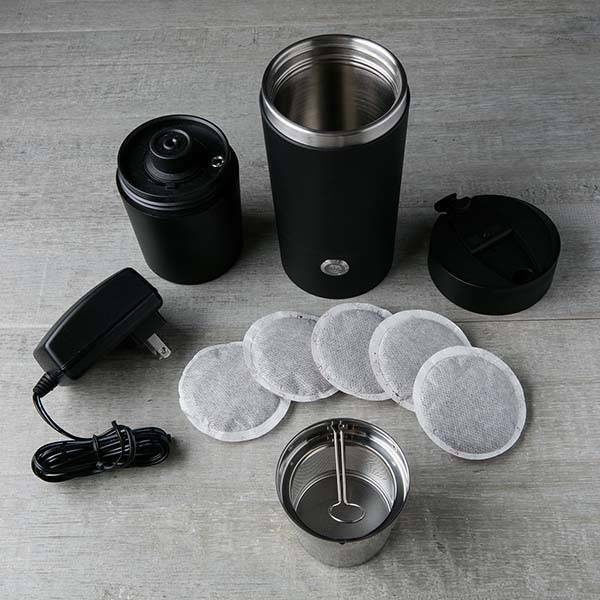 Moreover, its coffee holder works with standard coffee pods or ground coffee, and its container can hold 10 fluid ounces of coffee, meanwhile, the secure lid and heat retraining body keep your coffee warm for optimal taste. I addition, included rechargeable battery offers enough power for about 3 cups of coffee. 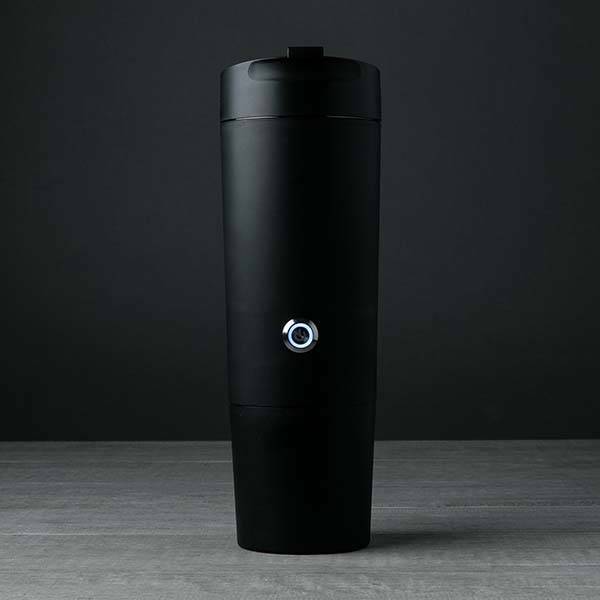 The Hey Joe travel mug with integrated coffee maker is on sale for $99.99 USD. If you’re interested, jump to TouchOfModern for its more details. BTW, also don’t miss the American Press coffee maker and more related cool stuff by following tags.